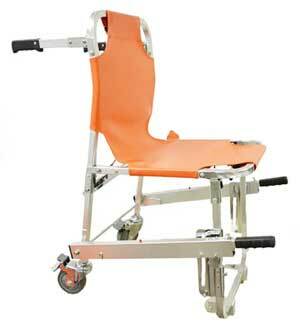 The Stair Chair aids in safely removing a patient from cramped quarters. 5″ rear wheels enable easy transport across most surfaces. 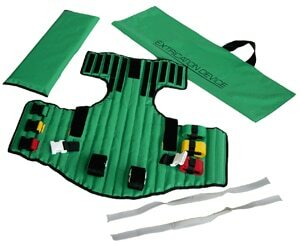 The Stair Chair comes with three quick release buckle patient restraints, easy to clean soft vinyl back seat and telescoping front handles.